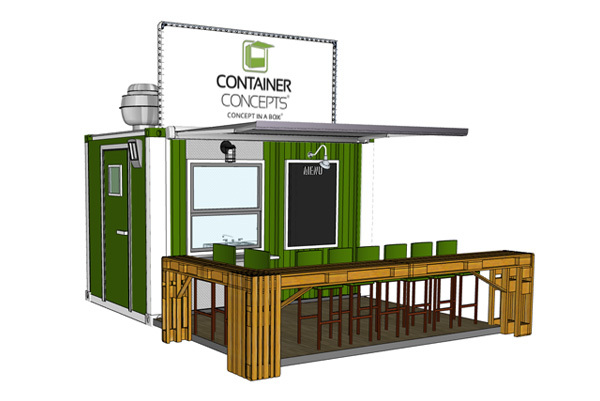 Container Concepts® provides unique functional modular business solutions; creating complete food service, retail, and event businesses in a box. 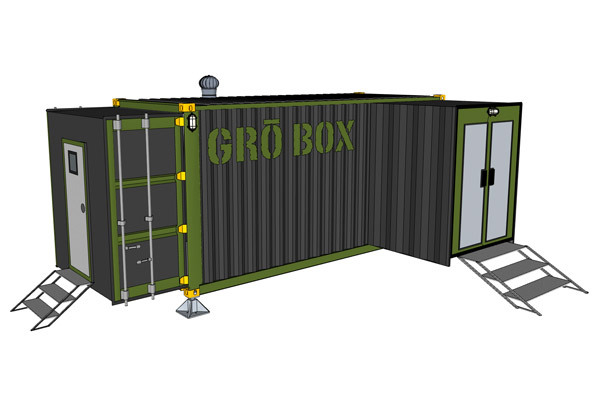 8'x10', 20', and 40' are standard sizes, we can also do custom sizes as well as joining containers together to form larger spaces. We can also provide complete site construction and placement services through our strategic partners, that can give you a complete design-build project. 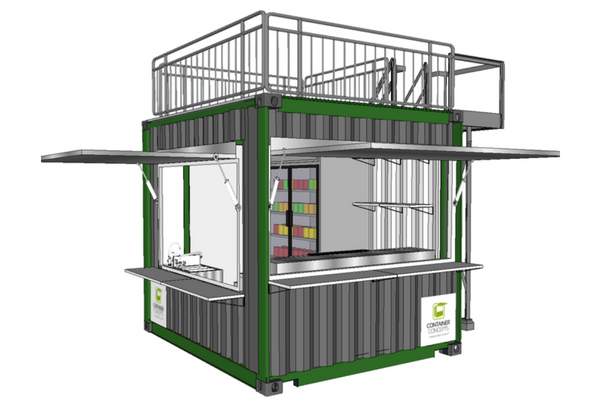 Food service and Bar containers are outfitted with full sized health code compliant, NSF rated kitchen equipment and surfaces. 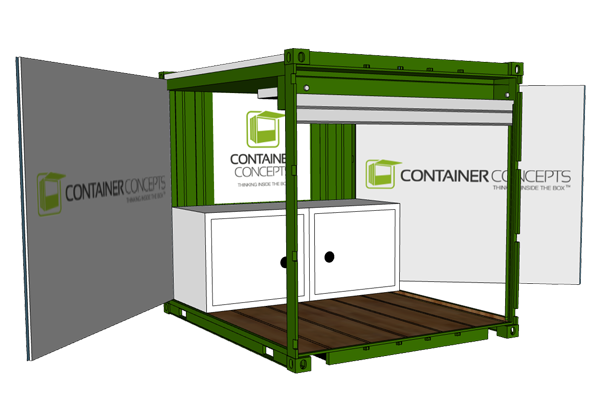 Containers can be customized with a provided equipment list, drawing, or layout. Or we can help with selection of the proper equipment for your concept. 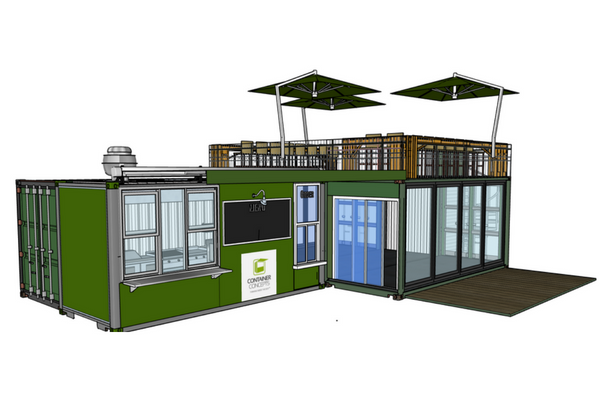 All of our food service, retail, and event containers can be equipped with options at an additional price. For example: HVAC, Digital menus, touch screens, POP displays, AV equipment, Wi-Fi, as well as giant LED screens. Brand logos can be wrapped or strategically placed through fabrication and signage. We can use exterior textures like faux rock or woods or anything that matches the theme of your location or concept. 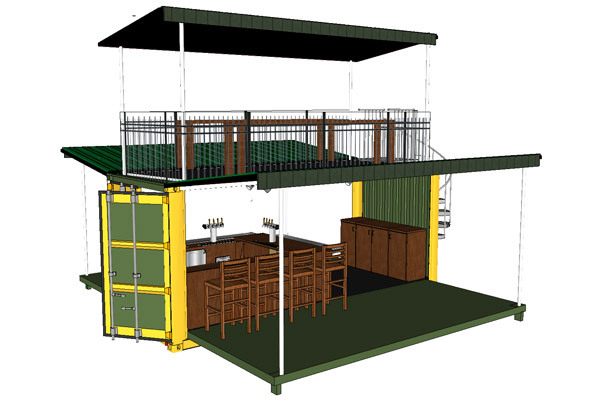 We can provide all drawings and materials for permitting at an additional cost, if needed. *TAX INCENTIVE:* Because the shipping containers are considered equipment they can be purchased as equipment. Therefore, they can be amortized immediately; paying off the original cost in a few years and considered acceptable for IRS Section 179 tax rebate on the purchase. Please contact your accountant or a tax professional for more information.